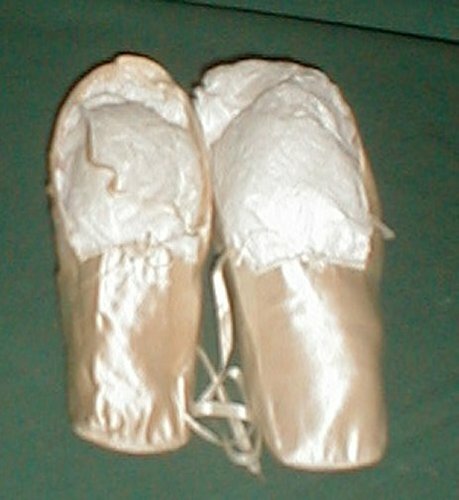 A dainty pair of 1820-1830 ivory silk straight shoes. 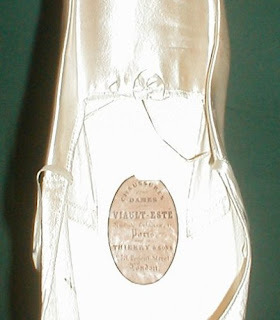 The inside label reads Viault-Este Rue de la Paix, Paris and Thierry & Sons, 278 Regent Street London. 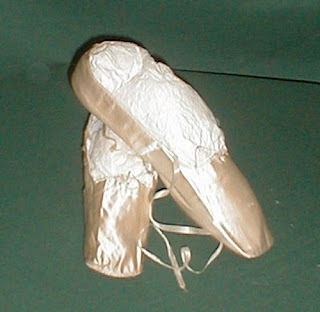 The shoes retain partial silk ankle straps. There are lined with cotton and kid leather. 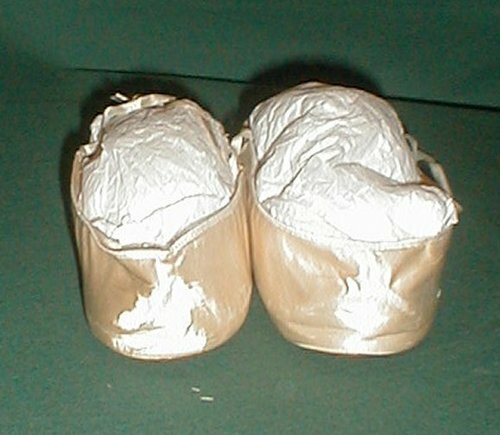 The shoes are in fair condition. There is missing fabric on the back heel and along the edge near the soles of one shoe. This same shoes also has some age discoloration. Length 10 Width 2 ½ inches. Computers are evil. That is all. > Computers are evil. That is all. LOL! I agree. I actually checked to see if I could afford that bustle dress, and I *knew* the answer was NO!! !